Chips, cracks, and discoloration are just a handful of surface flaws that can appear on your smile, whether by accident or by disease. But these surface flaws don’t need to stay on your smile forever. Instead, consider a cosmetic dentistry treatment here at Family and Implant Dentistry to help repair and rejuvenate your smile for the better. These treatments can include teeth whitening, porcelain veneers, crowns, and more. Take a look at our list below to get a taste of the treatments available for our patients in Lincoln, NE. Tooth colored fillings, made from resin, are bonded to the tooth and provide an aesthetic solution to silver fillings. Bonding is a treatment that can repair spaces between teeth as well as small chips, and can be done on children and adults. As an amalgam-free dentistry, we pride ourselves on giving our patients the healthiest options for fillings, choosing to forgo metal fillings in exchange for tooth-colored ones. These ones appear more natural and are just as strong, if not stronger, than silver ones. When a tooth is too damaged to endure normal bite pressure, or has recently undergone a surgical treatment, dental crowns can protect the tooth from outside forces. Teeth whitening is a safe and simple procedure that can provide dramatic results. We offer the latest in bleaching treatments. Crest strips (stronger than store purchased) as well as Night White, for optimal results, are available options. Whitening your teeth reduces the appearance of stubborn stains from dark-colored foods and drinks, making your teeth appear healthy and bright. Porcelain veneers, one of the most common forms of cosmetic dentistry today, can correct a host of imperfections including cracks, discoloration, gums, and crowded teeth. Porcelain veneers are made of a thin custom made ceramic material that fits snugly over the teeth, making them durable and natural looking. Veneers have been revered for their ability to cover up surface flaws and produce a beautiful sheen in patients’ smiles. They consist of thin, porcelain shells that are cemented to the front of the teeth, and can be shaped and stained for a more brilliant smile. Do you feel that your teeth have only slight imperfections? There’s a tiny chip, a small size difference between mirroring teeth, or an extra-sharp canine tooth. With dental contouring, we can shape these teeth into a more pleasing and symmetrical appearance. No two patients are the same, and neither will their treatments be. When you choose a cosmetic dentistry treatment with us at Family and Implant Dentistry, we will tailor your treatment to fit your needs. We also have an on-call lab technician who comes in for your appointment to ensure that your cosmetic dental restoration (whether veneers or crowns) fits accurately and looks pleasing. You don’t have to choose just one treatment either: if patients are seeking multiple fixes for their cosmetic dental flaws, we can combine procedures into one treatment plan that addresses all of your concerns. Do you have rampant tooth decay that’s threatening your smile? Consider fillings and root canals with crowns to help alleviate the symptoms and restore your brilliant smile. Fillings halt decay in its tracks, and a crown can protect a root canal and reshape the affected tooth. 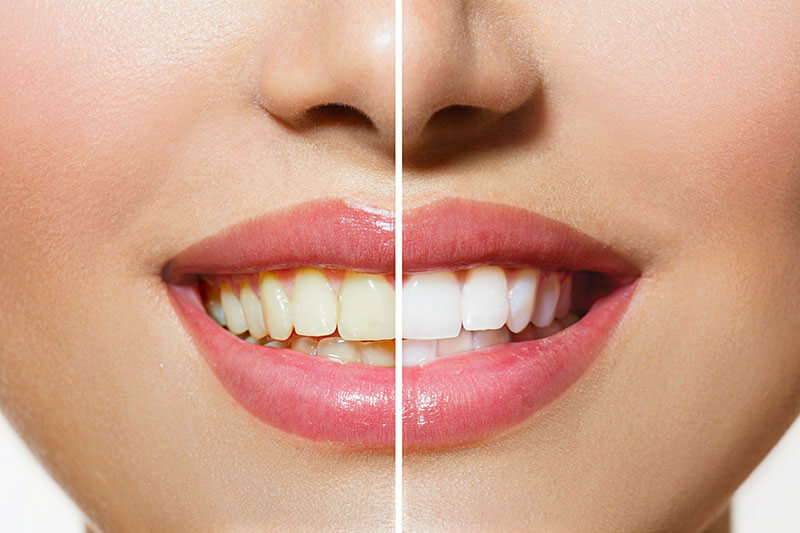 Has your smile suffered from severe discoloration? Teeth whitening can brighten your smile, and even the most stubborn of stains can be masked with porcelain veneers. By combining these two treatments, your smile will appear naturally white and radiant. As you can see, the combinations are diverse. Rest assured that we have your best interest at heart, and will work with you to pinpoint which treatments are best for achieving your smile goal. 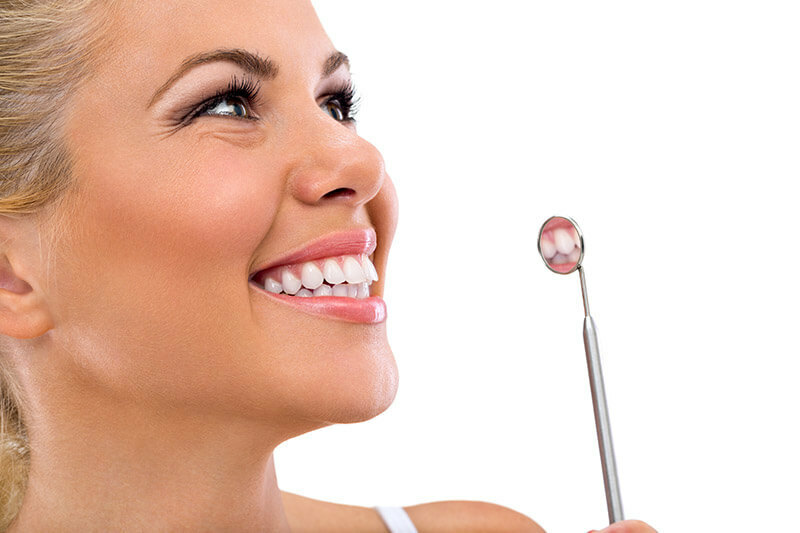 The first step towards a complete smile through cosmetic dentistry is to schedule a consultation with Dr. Hoffman. Learn more about what treatments you can qualify for here at Family and Implant Dentistry, and we’ll help you get started with the process!